Apple has given a review unit of the iPhone X to Steven Levy, who was one of the first pre-release reviewers of the original iPhone ten years ago. Levy has had the iPhone X since last Tuesday and today shared his thoughts on the tenth-anniversary device (via Wired), which marks the publishing of the first official review and impression of Apple's latest smartphone ahead of the review embargo lifting later this week. Levy mentioned that "the biggest change" for the iPhone X is its screen, which is about the same size as the display of an iPhone 8 Plus in the body of an iPhone 8. Compared to "bulky" sizes of Apple's Plus line and Android smartphones, Levy was a fan of this slimming down in size, and said that it was "greatly pleasurable" when used to watch a movie, stream a football game, or just swipe through Instagram. When discussing Face ID, Levy said that it appears to be a reliable method of unlocking and wouldn't detect anyone other than his face, although there were moments when it wouldn't unlock for him personally. Levy also mentioned that hiding text previews will now be the default on iPhone X, and he called the device's Apple Pay implementation a "clearer way to do transactions." Does it work? Pretty much. It seems reliable at fending off intruders. I have thrust my phone into several people’s faces—though considerably fewer than the million punims that Apple says I’d have to try before a false positive—and it has not fallen for any of them. I even offered up my own head shot to the camera: no go. In his short time with the iPhone X, Levy said he has already "mastered the gestures" of the device and found himself trying to use them on an iPad. "My finger no longer drifts to the home button, but pathetically swipes upwards, to no avail." He further mentioned that, "now there's that awkward moment when I expect the iPad to unlock itself when the camera looks at my face." Ultimately, Levy described the iPhone X as potentially a "halfway point" to a future beyond smartphones, and that its true potential will be unlocked when developers really begin to take advantage of the new hardware upgrades. You can read Levy's full review of the iPhone X on Wired right here. In addition to Levy's iPhone X first impressions, the YouTube channel Booredatwork today posted a full eight minute review of the new smartphone, as well as a shorter Face ID-focused video. The review goes through many of the newest features coming to iPhone X, including working demonstrations of Portrait Mode selfies, various new gestures, Animoji, and more. The channel said the swipe-up gesture to go home "worked well," but all-in-all the new navigation gestures are "counterintuitive" at first after using a physical Home Button for so many years. 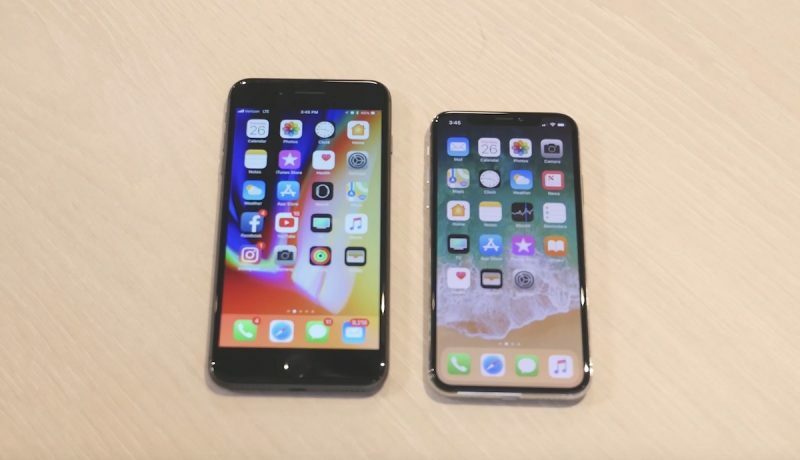 The video also included a side-by-side comparison of the iPhone X with an iPhone 8 Plus, and the reviewer was a fan of the iPhone X's ergonomics, mentioning that it should fit comfortably in all hand sizes. In a separate video, the channel showed the setup process of Face ID, which you can begin in Settings > Face ID and Passcode. As we saw in previous leaks, this process includes rotating your face in a circle a few times, and afterwards your iPhone X will be ready to use Face ID to be unlocked. 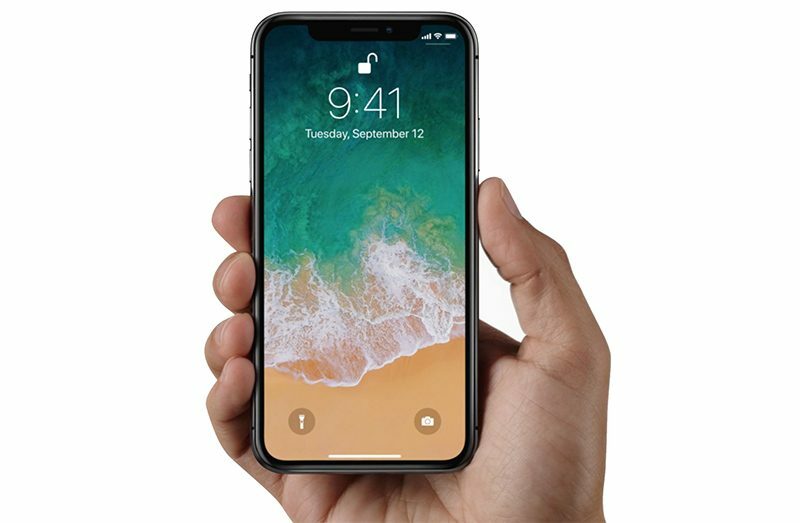 More reviews and impressions of the iPhone X will begin to appear online later in the week, ahead of the smartphone's launch day on Friday, November 3. Over the weekend, the first iPhone X orders began shipping out to customers, who will be among the first to get the device on Friday. For more information on the new smartphone, be sure to check out our iPhone X Roundup. How is he allowed to post review while that poor girl's video was removed and his father was fired? Because Apple told him he could do it. "Compared to "bulky" sizes of Apple's Plus line and Android smartphones"
Lmao, this year's Android phones already has bezel-less screens for much less, while we have to pay a premium for a bezel-less iphone. I love Apple as much as the next guy but this is just pure bull-sh it. Apple gave this guy a phone with the explicit purpose of doing a review. I’m just hoping you can use FaceID to unlock without the swipe up gesture. My iPhone 8 is unlocked the second it arrives at my face. I guess I’ll find out this week when mine arrives on the 3rd :). While the screen might "spread out" to the same size as the 8+, the usable space for things like video or apps are not as large as the 8+, which many reviewers seem to be missing the point of. Since you can't show video partially obscured by the camera bump, the actual screen size is less then. It is nice that its overall a smaller size which is the one true benefit of near bezel free designs, but the belief that you are getting the same usable space is not true. Anyways, I would like to read about real people use this thing in the real world in the near future. The proper question is why he was allowed to post before the embargo was lifted for all other journalists given an iPhone X for testing. If you don't understand the difference between a journalist officially given an iPhone X to write about it (at an agreed time) and the daughter of a random Apple employee, neither of whom were given any instruction or permission to share anything about the iPhone X, then I don't think I can help you. Maybe in like 2 years... too much money for animoji and what else.... I don't know. It looks cool, but still.... not justifies the money for me. I am curious about the opinions of those who do such upgrade- what is the reasoning behind you spending this amount of money? I like how he clarified how ApplePay works, to additionally clarify what Apple discussed / showed in their keynote. Too many people have the idea that you need to hold the phone up to your face, for FaceID to work. This review confirms that Apple’s text is accurate. Is it November 17-24 yet?